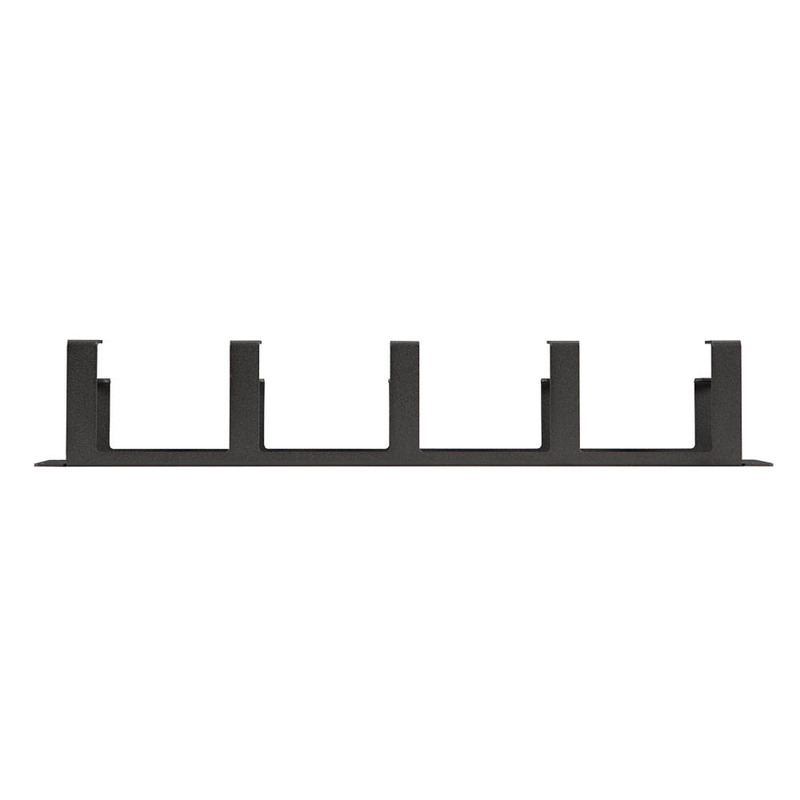 More Product InfoThe 2U Tool-less 5 D-Ring Cable Manager makes it easy to manage cables in any type of network rack or enclosure. 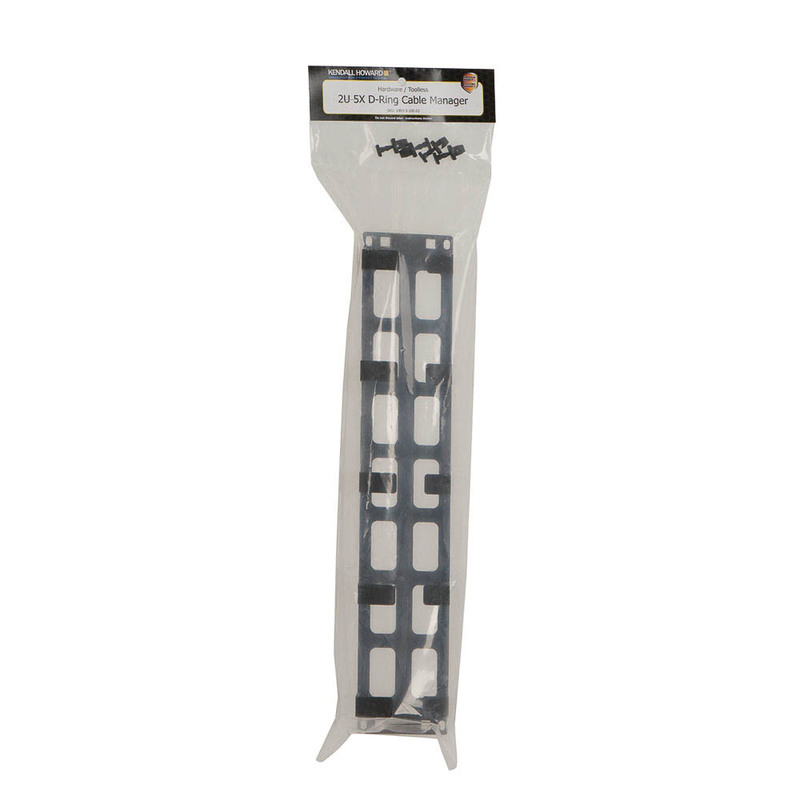 Get the convenience of a cable routing blank, a 5 D-ring minder, and our tool-less spacer blank all in one! 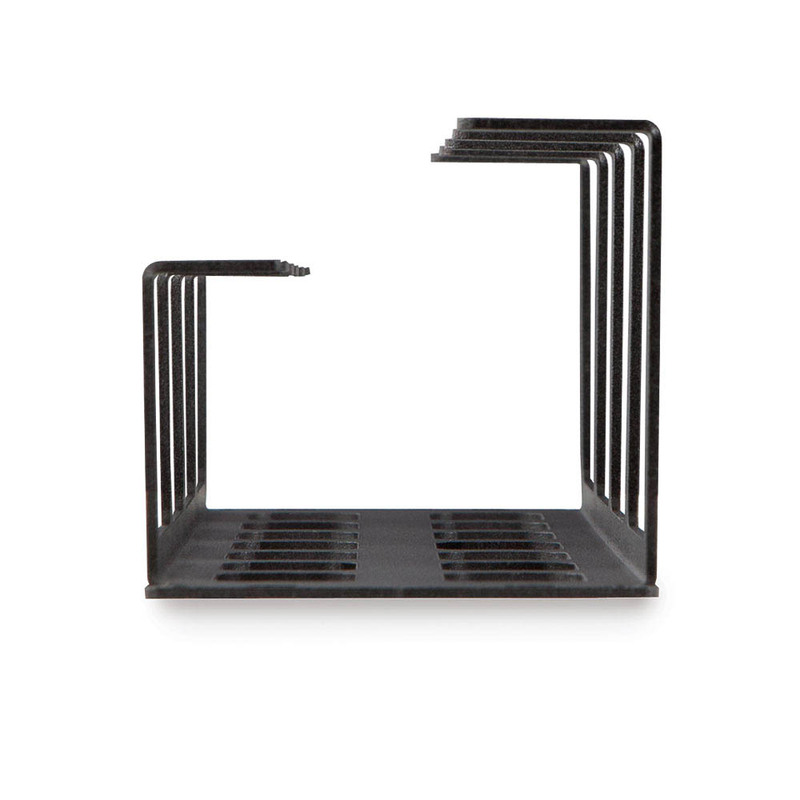 This unique cable manager has snap-in clips that lock in place with any cage-nut-style rail. 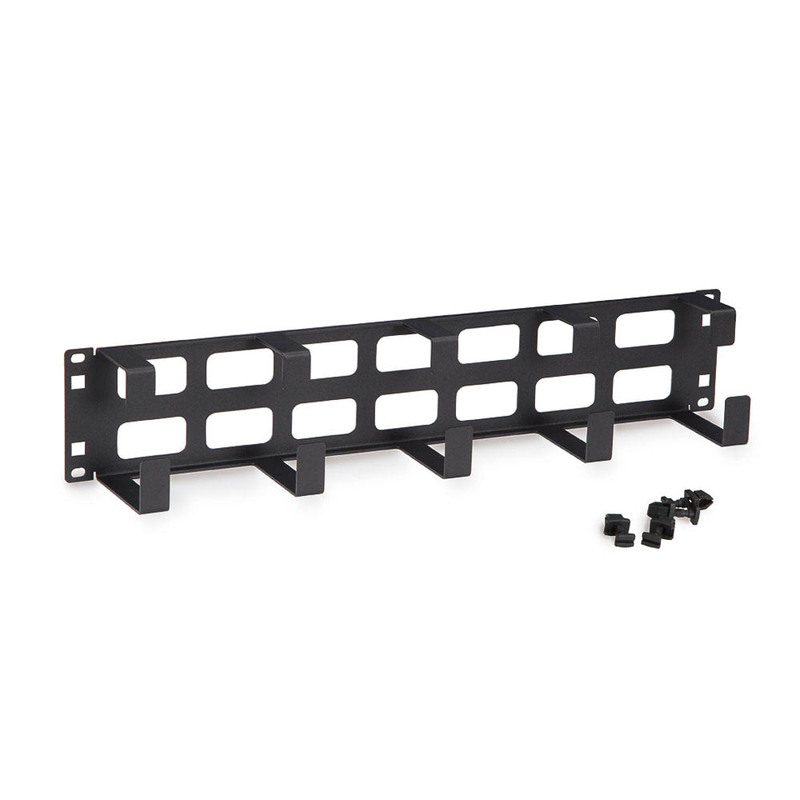 It can also be screwed in place for racks with tapped rails using the standard mounting holes. 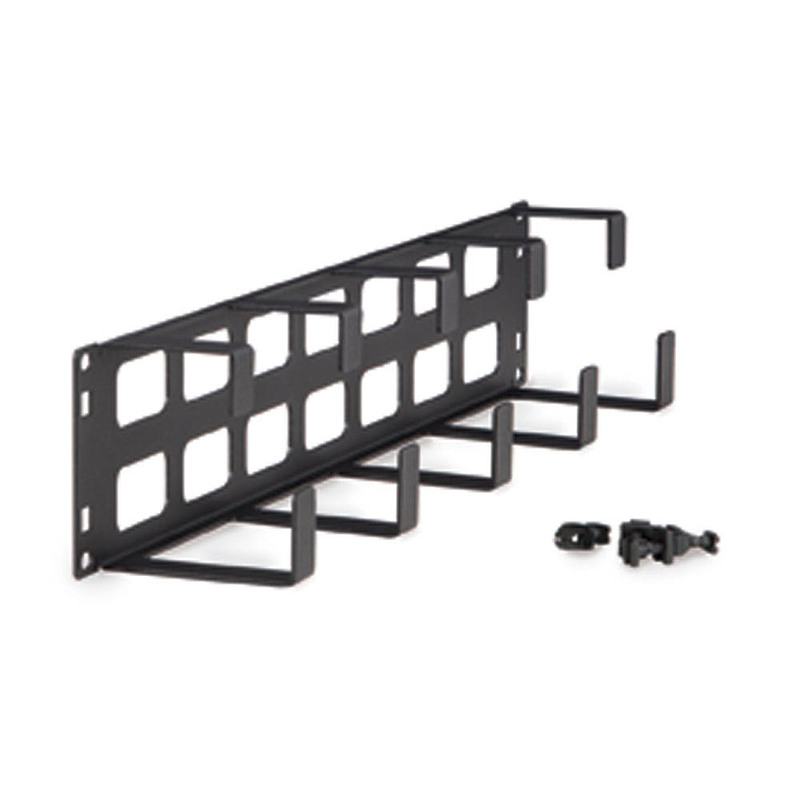 The dual design allows the 2U 5-D-Ring Cable Manager to mount in two different ways. 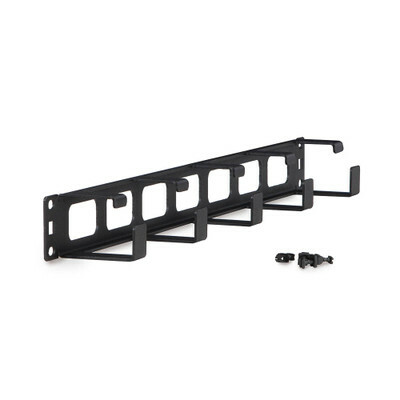 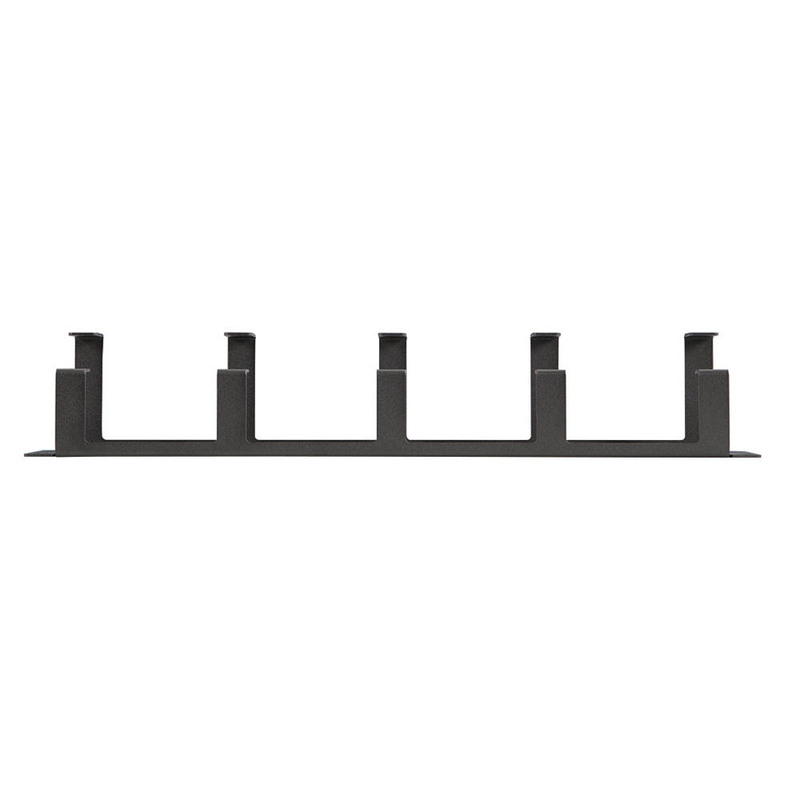 Face the D-rings toward the front of the rack to easily manage and support patch cables or face them toward the back of the rack where the open design provides easy support of trunk cables. 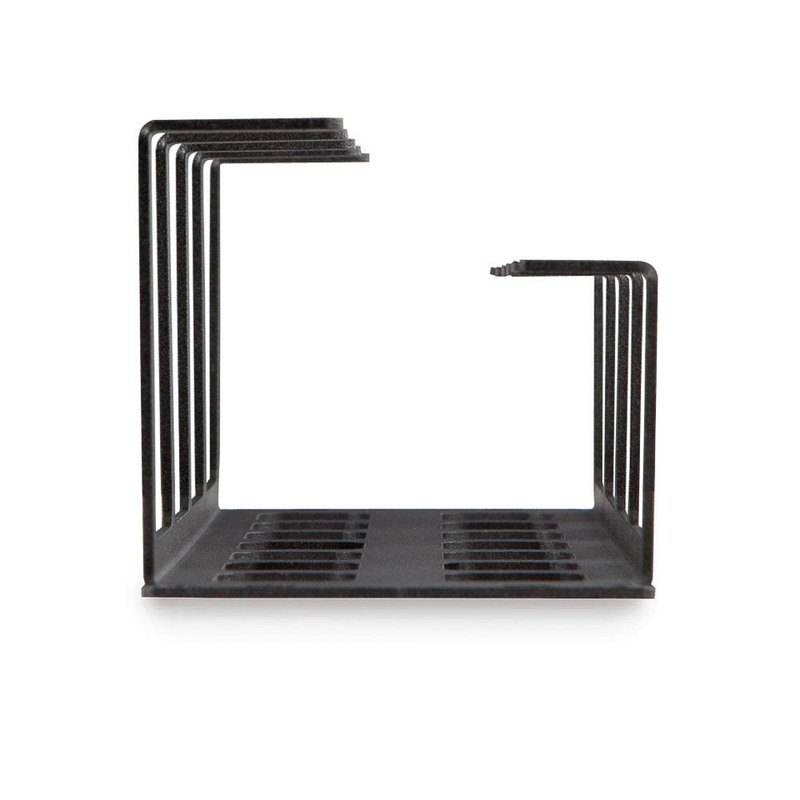 The seven large routing holes provide the convenience you need to run cables from the back of the rack to the front. 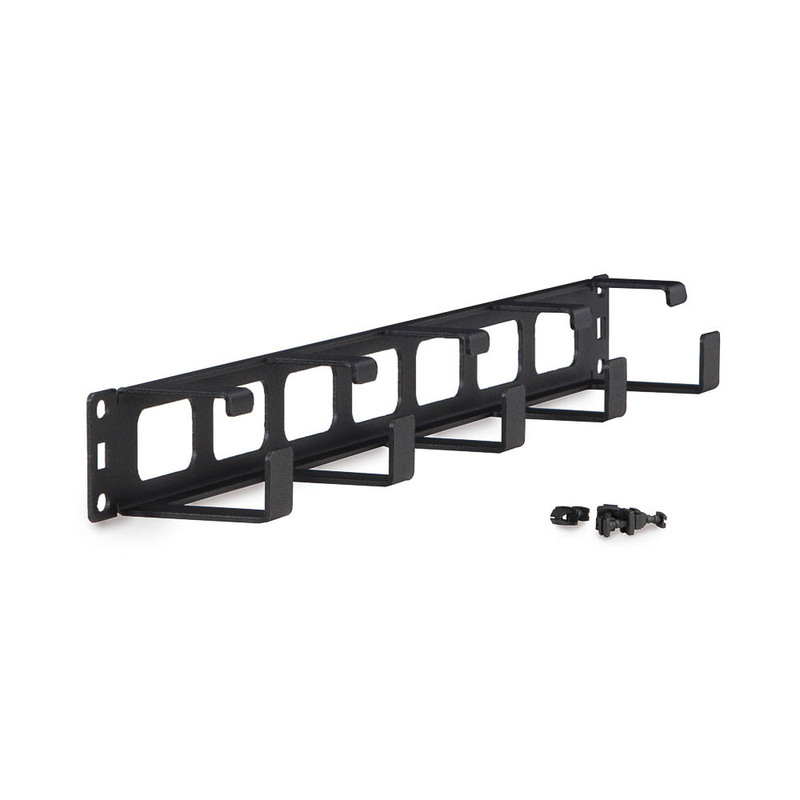 Ease of installation and multiple mounting options make this one of the most versatile cable managers on the market today!